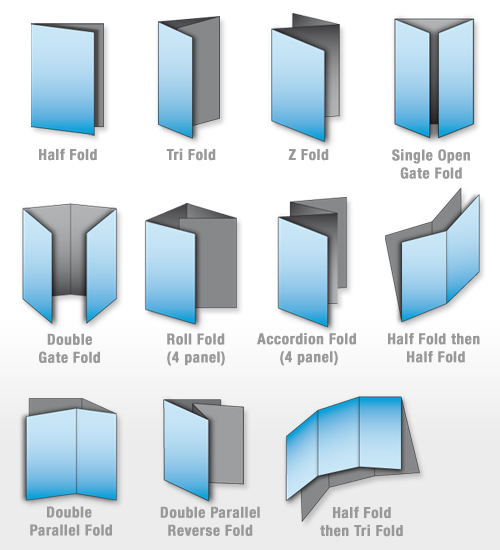 Usually folded brochures have four, six, eight, ten, twelve, fourteen or sixteen pages in their closed format, sometimes even more. However, your print file has to be delivered with 2 pages only in so called "open format". To save yourself time and/or unexpected surprises when receiving the printed brochure, we highly recommend the use of our file templates while creating your print file; this becomes more and more important with the increasing panel numbers of your brochure. 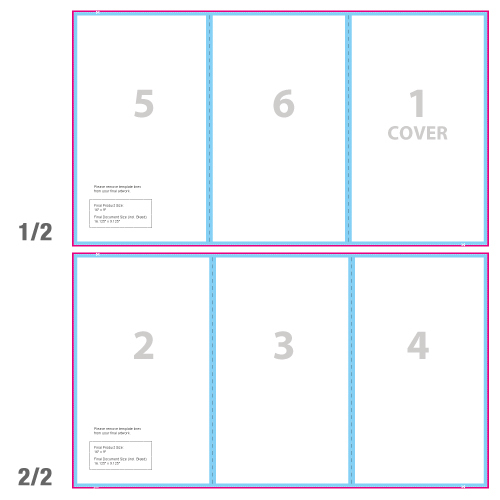 If you are new to designing folded brochures, or still feel a little insecure about the correct setup, we highly recommend adding a file check to your order. Our preflight team will check for correct position of folding lines and safe zone when booking this option.